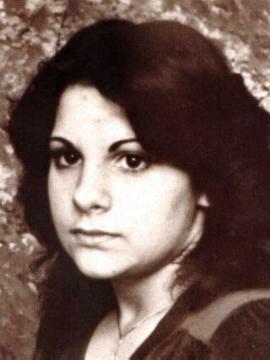 Alex Scesny is considered “a person of interest” in those killings and is charged in the 1996 murder of Theresa Stone in Fitchburg. 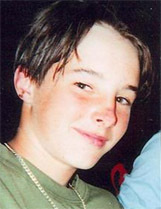 Police do not believe though that he is responsible for the murder of Deborah Bates. Whoever, killed Bates, had recently placed her and the remains of her unborn child near the site of discovery. On September 28, 1995, a patrol officer made a startling discovery behind a Hartford Road Strip Mall just a hundred yards off of Route 9 in New Britain, Connecticut. Wrapped in plastic and a sleeping bag, a dead young woman shot in the head once. To this day, her identity is still unknown. Her age was estimated to be about 17 to 20 years old. Her race was white, possibly hispanic. She weighed 116 pounds, was 5’3, had brown hair and brown eyes. She had a vertical piercing above her naval. She was found wearing white farmer type jeans, white athletic socks, LA Gear shoes size 6 1/2, a size 34B maroon bra, a Gitano watch, a herringbone necklace and a ring with a pink stone on her right hand. There is a $50,000 reward authorized by the State of Connecticut for the arrest and conviction of the perpetrators of this crime. 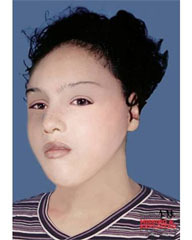 In Late September of 2009, Police Departments from three states have made strides in getting closer to solving this woman’s identity. They have linked her with an older female that was murdered around the same time (8 days later) in the Tolland State Forest in Massachusetts. Police believe the two victims are mother/daughter. The victim in this case may have been bi-racial or hispanic. She wore glasses and been killed by a gunshot wound to the head. Her age could have ranged between 30-45 years. The victim smoked and had poor dental hygiene but had an upper and lower bridge work with only a few of her own natural teeth left. Physical evidence points them to the Albany, New York area where they may have spent the better part of a year before their deaths. To see a sketch of the Massachusetts victim please visit here. The area where the younger female was found has also had three other murder victims nearby. Of those three, only one has been identified and police do not believe the death of the two women from Albany are linked in any way. IF you have any information about the murder(s) or identities of these two murder victims please call the New Britain, Connecticut police at 860-826-3069 or 860-826-3000. Or you can call the Massachusetts State Police at 413-747-4810. 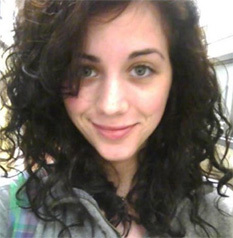 On August 26th 2011, twenty year old Amanda Plasse was a victim of homicide in her downtown apartment in the town of Chicopee. It happened on a sunny Friday afternoon around 4:30pm at 73 School Street. She had been stabbed multiple times.The twenty year old waitress worked at Friendly’s Restaurant on Memorial Drive and enjoyed going to various music festivals: Bella Terra, Strang Creek and some others in New York State. She enjoyed playing acoustic guitar and liked folk and bluegrass music. She would design tie-dye shirts and blankets. She also enjoyed tattoos and had a large amount of them on her.